I always laugh at those articles, obviously aimed at women younger than me? The ones in the magazines about getting your body ‘bikini ready’ for the beach. Let me tell you my body has not been ‘bikini ready’ for years and that’s fine with me! We all know how damaging the sun can be, so these days the beach is for walking and sitting on only. I am a fake tan convert. My face on the other hand does needs more skin care help and attention to prepare and protect it for the summer months. Then a moisturiser, at present I am using this Beauty Pie Japanfusion supreme cream and I will be buying more! Twice a week in preparation for the summer months as well as my usual day and night routine I exfoliate very gently! Your skin care products cannot work to their optimum if they are sitting on top of your dead skin cells! Exfoliation removes the dead cells, allowing the pores to absorb nutrients. The process will refine the top layers of skin, making pores appear smaller. Another added treat is that it increases the oxygen and circulation in the skin. This gives the skin a healthy, radiant glow. 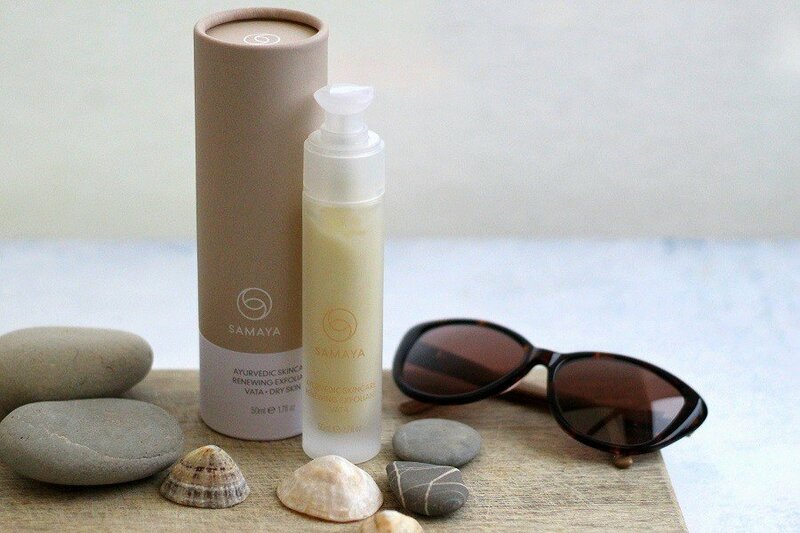 I have been using the overnight *Samaya Renewal Exfoliant from the Vata range with excellent results. 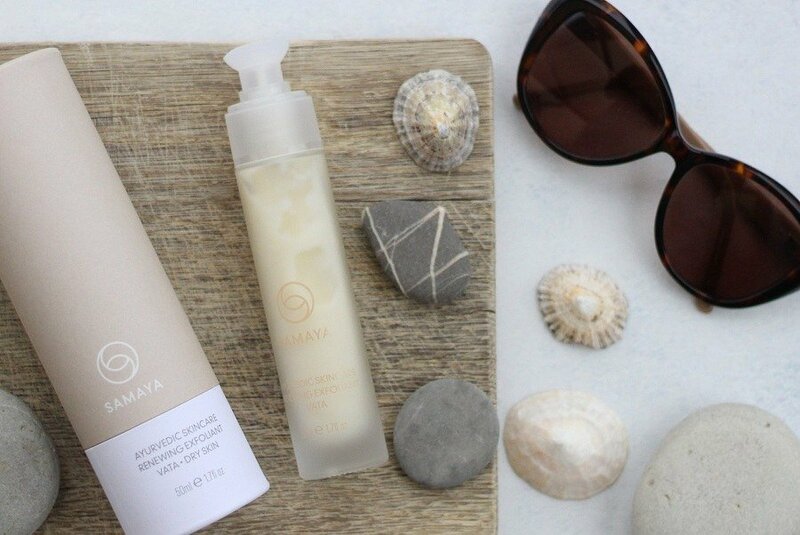 Divided into three Doshas Vata, Pitta and Kapa Samaya skincare helps you find your perfect skin care products. What is a Dosha? and how to find yours read all about it here its fascinating. I am a Vata and its spot on for my personality and skin type! When I awake I find my skin to be so much softer and the pores are minimised. My moisturiser absorbs faster and overall my skin has a healthier and dare I say it a more youthful glow? An all-natural, gentle and highly effective enzyme exfoliant which safely removes dead skin cells and impurities without damaging healthy skin below. Instantly revitalises and softens skin. Helps minimise the appearance of pigmentation and pores to impart a more even skin tone. What it does for me: my results after 3 weeks of use, using it twice a week. I have been using this for 3 weeks, twice a week. I leave it on my skin overnight to do its work as I sleep. When I awake I find my skin to be so much softer and the pores are minimised. My moisturiser absorbs faster and overall my skin has a healthier and dare I say it a more youthful glow? 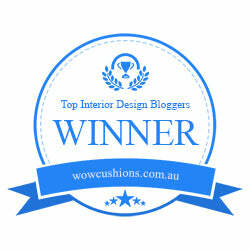 Samaya has won many many awards since it launched do have a look! 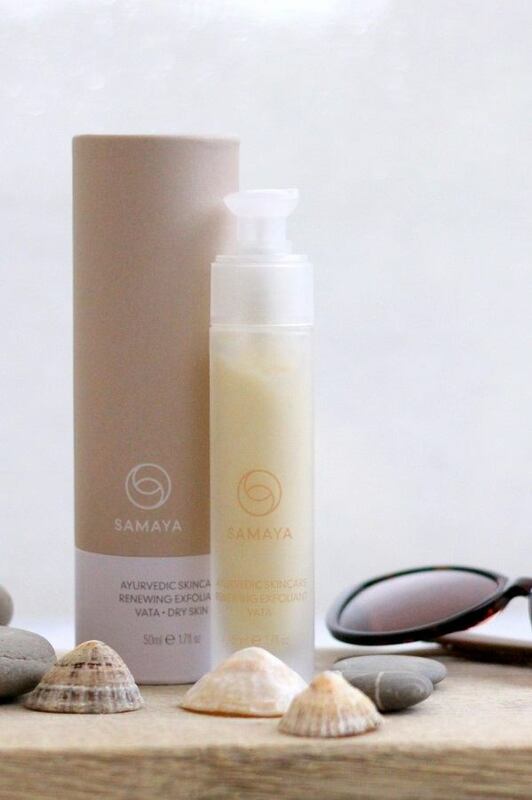 Samaya also make skin care supplements* which I haven’t tried yet as I am in the process of trialling another, but if they are anything like the rest of the range they will be excellent. Why not visit the website and have a read? More Skin Care Posts You May Enjoy reading! 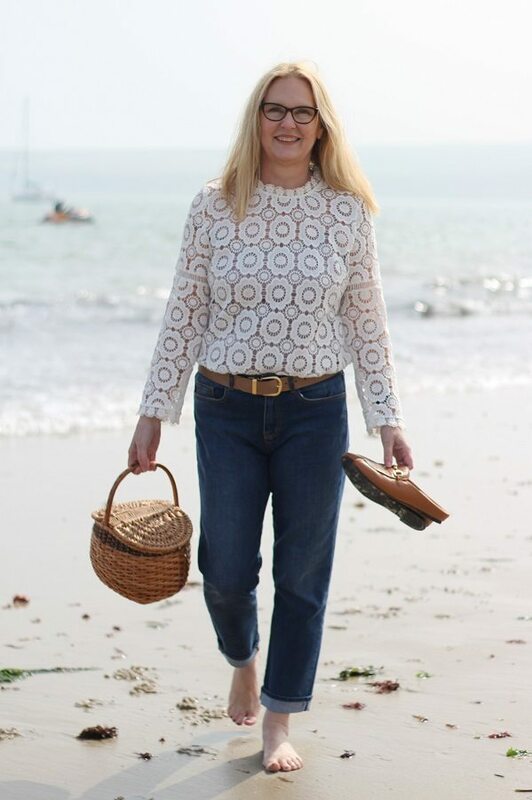 Next Post Baukjen Boyfriend Jeans & Lunch At The Pig hotel. I only wish we knew about sun damage when we were younger eh?